“People tend to forget that it is not just a craft, but also a visual identifier of the Zoroastrian community and its achievements,” says Ashdeen Z. Lilaowala of eponymous label Ashdeen, who has been working for over a decade to contemporise the Parsi gara. Besides being an Indo-China hybrid, the embroidery is multicultural in form. 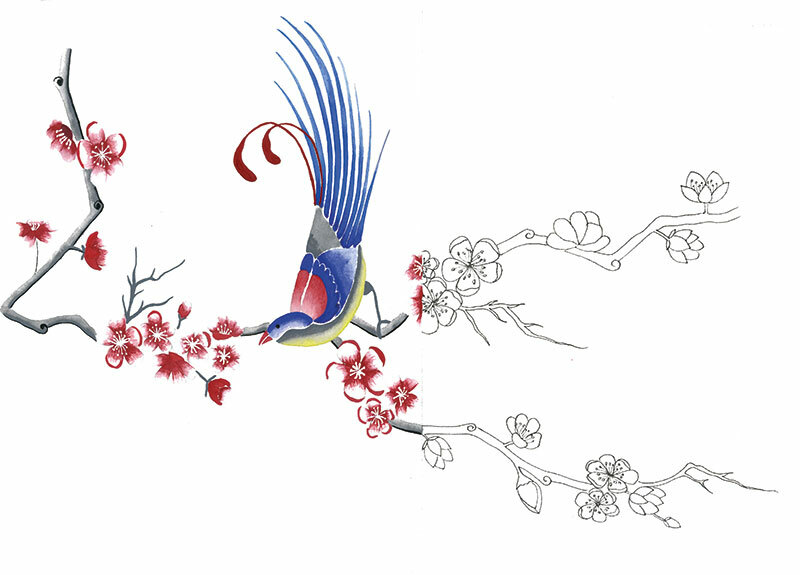 While inspiration from the Orient resulted in motifs such as the china-chini (Chinese man and woman), divine fungus, weeping willows, pagodas and cranes, its Indian influences took the shape of peacocks and lotuses. Persian designs were also ubiquitous via the paisley, gul-e-bulbul and simurgh (bird of paradise) as were the British symbols of baskets, bows and scallops. 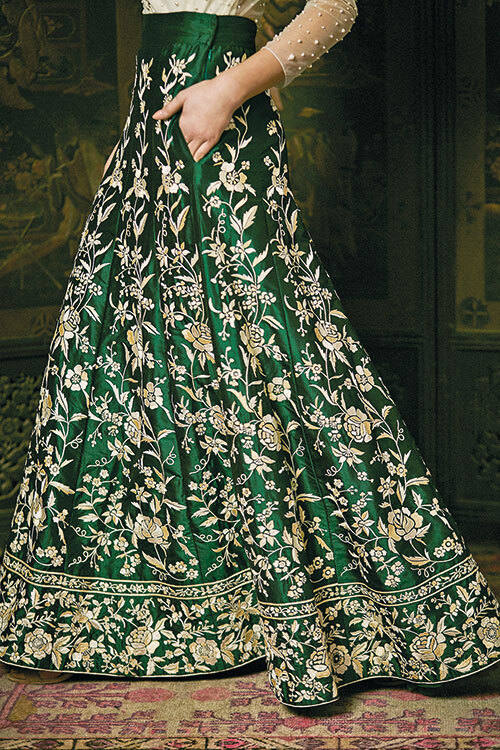 Given the community’s binding relationship with nature, floral motifs too adorn almost all saris, as do religious ones such as the fish and rooster. 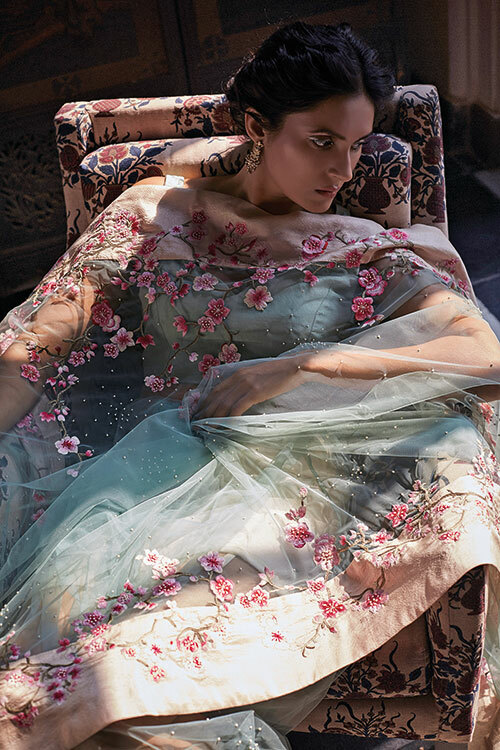 Lilaowala’s clothes and accessories are replete with chrysanthemums, peonies, roses and cherry blossoms, addressing the deep reverance for nature among Zoroastrians. Asal na garas or authentic garas came strictly in hues of purple, maroon and navy and were ornately embroidered with silk floss (mainly in ivory), which lent the embroidery its subtle sheen. Famously described as ‘painting with a needle’, the technique employed the satin stitch, aari or mochi stitch, petit point stitch and the devastatingly intricate French knots or khakha stitch. Even though Lilaowala uses khakha in his designs, he restricts its application to certain elements because “it doesn’t make commercial sense to use it to make full borders — it would be too expensive”. Depending on the elaborateness of the design and type of sari, a hand-stitched gara could take between two to nine months to create, which is also why they are considered heirloom-worthy. Painstaking as the stitching may be and time-consuming though the process, Lilaowala insists that the real challenge lies in training the craftspeople. 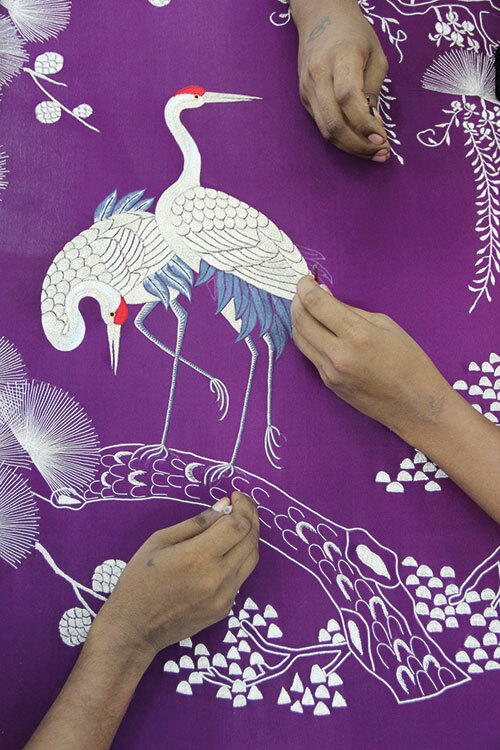 “What’s most difficult is getting them to understand what the embroidery is all about, because it is very figurative. It’s about creating exact forms and figures. And then of course, retaining the artisans. Losing good talent is always a concern,” he states.